You want a good trial attorney. I’ve been told by several defense attorneys that Victor Pribanic is the best plaintiff’s trial attorney in the Pittsburgh area. No brag, just fact. Victor Pribanic was selected, by his peers, as 2014 Pittsburgh’s Best Lawyer of the Year. But guess what? Did you know that an associate attorney will probably be doing most of the work on your case? When Pribanic & Pribanic accepts a new personal injury case (such as a medical malpractice or wrongful death case), Victor Pribanic will assign that case to one of his associate attorneys. That attorney will be responsible for doing most, if not all, of the work on your case in preparation for trial. So let me introduce myself. 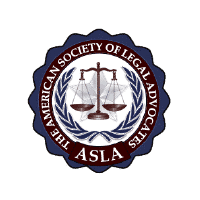 I am an associate attorney. I’m what’s called a “second career” attorney, since I am a former university professor. I last taught at Michigan State University from 2000 to 2004. (I have a Ph.D. in the study of religion from the University of Toronto, which was Canada’s top graduate school in 1996.) While I was teaching at Michigan State University, I started going part-time to law school in 2002. I received my law degree in 2006, and was sworn in as an attorney by a special session of the Pennsylvania Supreme Court in 2007. My professional goal is to try to make sure that my cases settle without having to go to trial. In my over eight years of practice so far, Victor Pribanic has not tried a single one of my cases so far. That’s a pretty good track record for an associate attorney! In my spare time, I publish as an independent scholar. My latest book is God & Apple Pie: Religious Myths and Visions of America (2015), with an introduction by J. Gordon Melton, Distinguished Professor of American Religious History at Baylor University. You can see this book on Amazon.com. I have published several books—and several book chapters as well—along with a good number of academic journal articles, encyclopedia articles, and book reviews, not to mention a number of op-eds and and “blogs” online. I also have over 30 legal publications (mostly legal briefs) published on LexisAdvance. So you can be pretty sure that I have good communication skills. 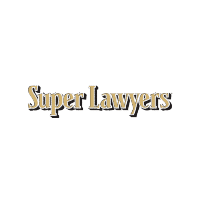 Think about the associate attorney who will be handling your case.  If you decide to go with Pribanic & Pribanic, once we accept your case, the associate attorney will be the one who works most closely with you in developing your case. 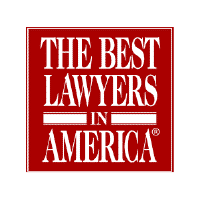 So, even though Victor Pribanic remains your lead attorney, your associate attorney is the one who you will have the most contact with. So, when thinking about choosing a law firm, think both about the trial attorney and the associate attorney. As an associate attorney myself, that’s the best practical advice that I can give you. 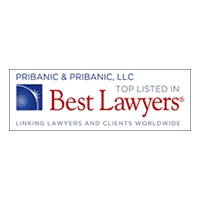 At Pribanic & Pribanic, you’re guaranteed to be working with the best lawyers in Pittsburgh. • Overview: Case involving “patient dumping” and “reverse patient dumping” in alleged violation of the federal EMTALA statute. Patient presented to the Emergency Department with open (compound) fracture of the left lower leg. Although triaged and worked up, her injury was not stabilized. Initial attempt to transfer complicated by inaccurate insurance information, resulting in refusal of other hospital to accept transfer, based on ability to pay. Delay of over six hours before definitive treatment ultimately resulted in two amputations, due to comorbidities. • Settlement: Case settled for confidential sum on October 29, 2010. • Overview: Wrongful death by patient neglect involving traveling nurse in ICU, who claimed he was ordered by charge nurse to circulate in another patient’s room. Systemic failure in the Surgical Intensive Care Unit at Defendant hospital alleged as basis for corporate negligence claim, above and beyond professional medical negligence by ICU nurses, technician and physicians. • Settlement: Case settled for confidential sum on September 14, 2011. • Overview: Case in which the patient presented to the Emergency Department with a reported cerebral spinal fluid (CSF) leak and abnormal temperature following a recent shunt revision. To rule out suspected meningitis in the differential diagnosis, the ER senior resident ordered a complete blood count (CBC), erythrocyte sedimentation rate (ESR) and C-reactive protein (CRP) test. 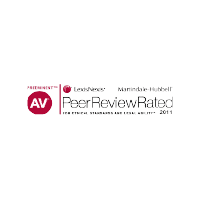 Four physicians—the attending physician and his resident, the consultant neurosurgeon and his resident—each evaluated the patient prior to discharge, yet failed to follow up on these STAT tests, including the blood lab results. Late in the case, the senior resident admitted, in deposition testimony, that the patient’s blood was never collected, and that the reported lab results, in fact, were an error in the medical records (because the results were from the evening blood draw, not the morning blood sample). The patient returned that evening with fulminating meningitis, resulting in cortical blindness and neurological deficits. • Settlement: Case settled for confidential sum on October 19, 2011. • Overview: In craniospinal radiation treatment planning for adult medulloblastoma, Defendant radiation oncologist failed to ascertain and individualize the depth of his patient’s thecal sac and to set an appropriate 1–2 cm dosimetric margin to the caudalmost extent of the patient’s thecal sac — a “geographic miss” placing the patient at higher risk of cerebrospinal fluid (CSF) seeding, resulting in recurrent medulloblastoma tumors in the dose fall-off region, and in terminal leptomeningeal metastasis to the brain. • Settlement: Case settled for confidential sum on August 27, 2010. • Overview: Tragic case involving a patient who presented to the ER, time after time, with stabbing abdominal pain, severe loss of weight, and “fear of food” (sitophobia)—classic symptoms of chronic mesenteric ischemia (CMI), in which the patient’s intestines are dying inside his body. Undiagnosed for months, this CMI developed into acute mesenteric ischemia (AMI), an event that is life-threatening. Failure to appropriately test, diagnose, refer, or treat patient for CMI. • Settlement: Case settled for confidential sum on July 12, 2011. • Overview: Wrongful death action arising out of fatal electrocution of worker on abandoned mine site, when the boom of a truck-mounted crane was energized by the overhead 25,000-volt power line. Plaintiff argued that the Defendant corporation exposed this worker to a peculiar risk of harm by using (1) the wrong tool for the job (boom-truck crane); (2) the wrong subcontractor for the job (a machine shop); (3) the wrong safety plan for the job; and (4) the wrong supervisor for the job. The Defendant corporation negligently exercised its retained control by failing ensure that the appropriate equipment, subcontractor, safety plan and supervisor were used—in violation of §§ 413, 414, 416 and 427 of the Restatement (Second) of Torts, exceptions to non-liability for independent contractors. • Settlement: Case settled for confidential sum at mediation on March 19, 2012. • Settlement: Case settled for confidential sum on May 10, 2011. 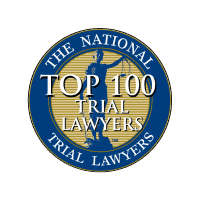 • Overview: Wrongful death action involving combined toxicity of alcohol, Oxycodone and Alprazolam from pills allegedly given by Plaintiff to Decedent, who later died in his sleep several hours later. • Settlement: Case settled for confidential sum on November 5, 2012. • Overview: Automotive design defect case involved inadequate protection against side-impact crash, fatally injuring nine-year-old boy and a two-year-old girl. This letter is written on behalf of Dr. Christopher Buck, an attorney with the law firm of Pribanic & Pribanic, whom my husband and I had the privilege of working with during the years on 2008/09. Our litigation required an attorney with a deep research background and we found that Dr. Buck was the individual for the job. Over the course of the two years our ongoing case benefited from Dr. Buck’s efficient, effective, diligent, and determined methods of providing background knowledge and research relevant to our case. He consistently met time lines and took time to explain our legal issues in such a way that we understood the events of the complicated situation. It appeared that he was never too busy to respond to our questions. 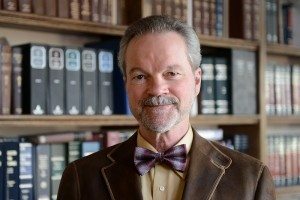 Based upon his deep knowledge base, his dedication to his clients, and his outstanding ability to “get the job done,” we would highly recommend his expertise to anyone in need. Buck, Christopher. “‘Never Again’: Kevin Gover’s Apology for the Bureau of Indian Affairs.” Wicazo Sa Review: A Journal of Native American Studies 21.1 (2006): 97–126. DOI:http://dx.doi.org/10.1353/wic.2006.0002. http://christopherbuck.com/pdf/Buck_2006_Never_Again.pdf. *See the video of Kevin Gover’s historic apology, which Dr. Buck obtained from the Bureau of Indian Affairs (as the first university professor in the U.S. to make that request): http://christopherbuck.com/video/Kevin_Gover_BIA_Speech.mpg.